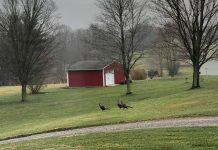 REYNOLDSBURG, Ohio — The Ohio Livestock Care Standards Board marked its one-year anniversary by advancing a dozen standards to the official rule making process. In about an hour’s time on April 19, the board met and approved standards for veal, dairy, beef, swine, layers, poultry, sheep, goats, llamas, alpacas and equine. The standards received many other votes and hours of intense deliberation over the past year, but the current vote is the most decisive to date — sending the standards on for hearings by the Ohio Department of Agriculture and Joint Committee on Agency Rule Review. Executive Director Mike Bailey estimated a public hearing will be held at the department in 30-40 days. The JCARR hearing would tentatively occur on June 20. All told, the new standards could become new rules in Ohio sometime mid-summer, or 76 days after the rules are filed. The most controversial standards were those pertaining to veal calves and how they should be raised. 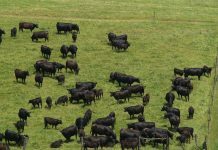 Farmers remained divided over how different types of housing could affect their businesses and the well-being of their calves. 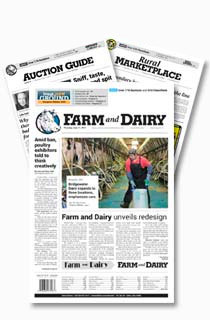 At the meeting, several board members revisited the issue of calves cross-sucking each others’ navels when required to be paired together too quickly — a potentially serious health problem. Member Leon Weaver asked what the remedy for this condition would be, and no answers were given. But he asked the board to move ahead with the decision it made April 5, which allows producers to continue using non-turnaround housing and tethering until 2017. He reminded the board the standards can and will be be revisited in future meetings. “What we’ve done is as close to perfect as we can get it today,” he said. Agriculture Director James Zehringer, who is chairman of the board, said its work is impressive and is the No. 1 thing the department is proud of in its first 100 days under the Kasich Administration. “You guys can be really proud of the accomplishments that you have accomplished in that one year,” he said. 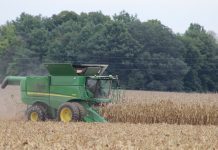 Zehringer said he already has talked with farmers who are looking forward to growing their operations in Ohio, because they know what the standards are and what they can count on. New facilities that will meet the requirements of the state’s new standards, are being planned and some already are being constructed. Fairfield County farmer Roger Wolfe provided the only comments during the public comment session. He thanked the board for “a terrific job,” and encouraged them to continue to focus on research. He also addressed some anti-livestock farming literature distributed by animal rights activist organizations at the last meeting and placed on the windshields of peoples’ cars. Wolfe said the literature painted an inaccurate image of swine production and the humane measures producers take. He said more people need to be educated about the truths of livestock farming, which he said is much better than the literature he received. “To me, we do treat our livestock very well,” he said. As the standards become new rules, the issue will be how to get the word out to producers. Executive Director Mike Bailey explained the communications and outreach plan. He told the board that Andy Ware and Erica Pitchford of the Ohio Department of Agriculture had developed the plan. Bailey said the plan will include three main steps. One will be to educate the educators — the people producers go to for assistance in raising livestock. He said he hopes to get this portion completed around the end of May. This will include educating extension agents and commodity groups. A second portion of the plan will include regional meetings. There will be six of them offered across the state. No specific details have been released as of yet. The meetings will offer hard copies of the regulations passed by the board and it will give producers a chance to ask questions about the regulations. Specific materials about each species was also talked about with a breakdown of what applies to those animals in the regulations. This will enable a producer to find out exactly how the regulations are going to affect their operation. 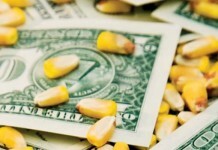 The regional meetings will be funded through the Ohio Department of Agriculture. The third part of the plan will include a big push at the Farm Science Review in September. Bailey said it will be the final step to get the word out to any producers they may have missed or may still have questions.